In 2015, the government imposed severe restrictions on NGOs! The Burundi Education Fund now directs its focus on Burundi refugee students in Rwanda and Uganda. The Burundi Education Fund believes in investing in Burundi boarding high schools and businesses so that children and communities can become self-sustaining and reduce their need for foreign assistance. 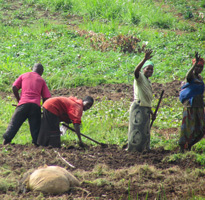 Loans given to business projects in Burundi must meet specific criteria: for example, have a proposed budget, operation agreements, and interest on loans if not paid back in the allotted time. In 2013, six Burundi schools that have developed a relationship with Burundi Education Fund were asked to compete for loans (not to exceed $10,000 each) to fund sustainable projects that would give children a hands-on experience of running a business. At the same time, the project would fund other projects, including supporting poor students attending the same schools. The operators of a pig farm would allow the children to help maintain the pigs and assist with financial transactions, thus learning how to run the operation themselves. The pig farm would provide food for the community as well as serve as a source of income for the schools. When the pigs offspring grow, the operators have agreed to pay the full loan back to the Burundi Education Fund. 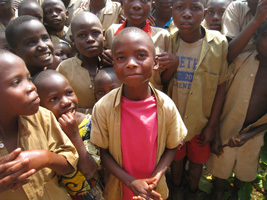 A printing and convenience store will be located on our school properties in Burundi and operated by the students. The students will sell printing services and everyday necessities such as school supplies, produce, soap, and toothpaste. Not only will these new services be offered to the community, the proceeds will benefit local impoverished children.